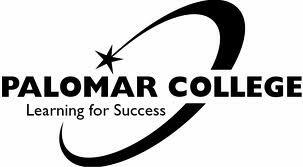 Palomar College is a two year, public college in San Marcos, California. Palomar offers students associate’s degrees, certificates of achievement, and certificates of proficiency. Active duty military personnel and their family who are stationed in the local area are granted in-state residency which translates to in-state tuition prices. Palomar College is located roughly 30 miles north of San Diego. With 30,000 students, 6 additional education centers scattered around the northern part of the county, and 200 degree and certificate programs, Palomar meets the professional and personal needs of a large portion of northern California. Palomar participates in transfer agreements with both the California State University and the University of California systems for students in all five of their academic divisions: Arts, Media, Business and Computer Systems; Career, Technical and Extended Education; Language and Literature; Mathematics and The Natural Health and Sciences; and Social and Behavioral Sciences. Students from Palomar studying in these disciplines can easily transfer to any California State University or University of California campus and be guaranteed to bring all of their credits with them. In order to meet the needs of working students, Palomar offers fast track classes for students who wish to move through their programs quickly, self-paced classes that let students to move either slowly, quickly, or intermittently as their other commitments allow, and late start classes that begin after the first week of the semester. Some of the more unique concentrations offered at Palomar include American Indian Studies, American Sign Language, Fire Technology, and Zoology. Occupational and non-credit programs include Construction Inspection, Electro-Mechanical Equipment Technician, Public Works Management, Wastewater Technology Education, and Water Technology Education. With such a wide range of choices, students can enroll in classes as diverse as Recreational Leadership, Tagalog, Digital 3D Design and Modeling, Preventive Dentistry, and Inductance and Capacitance Theory and Codeology. Although the on-site facilities are not as extensive as they would be at a residential school, computers are available for student use at the Academic Technology Computer Labs on the ground floor of the college library. Four specialized computers are available for disabled students. Wireless laptops are also available for in-class uses such as project demonstrations or group research.